New option file by Kilay, it works only with Pro Evolution Soccer 2018 PC version. Since Kilay doesn't update his Option File, Frank8899 from Evo-Web.co.uk updated kilay's Option File with New Winter Transfers 2017/2018 and also added some new content like Bootpack & Glovepack & also new faces ! All credit goes to Kilay, Frank8899 and also Evo-Web ! - Corrected Name & Logo for Competition & Clubs. - Added Some kits & logs for Sudamericans Teams & Argentina Super League. 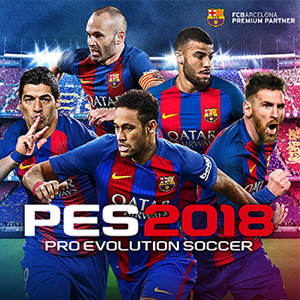 You need datapack 1.0 to datapack 4.0 to be installed in your Pro Evolution Soccer 2018 game ! - It's recommended to start new ML. - Backup your SYSTEM00000000 and VERSUS00000000 before using this update. - Turn off your live update. where is v8 11.10.17 downlad link ? Which update should I install for the DpFileList Generator? hi i have downloaded the files 2 times each one from diferent server and when i try to unzip i have un error, any suggestions? downlod new contens to update data ?? ?